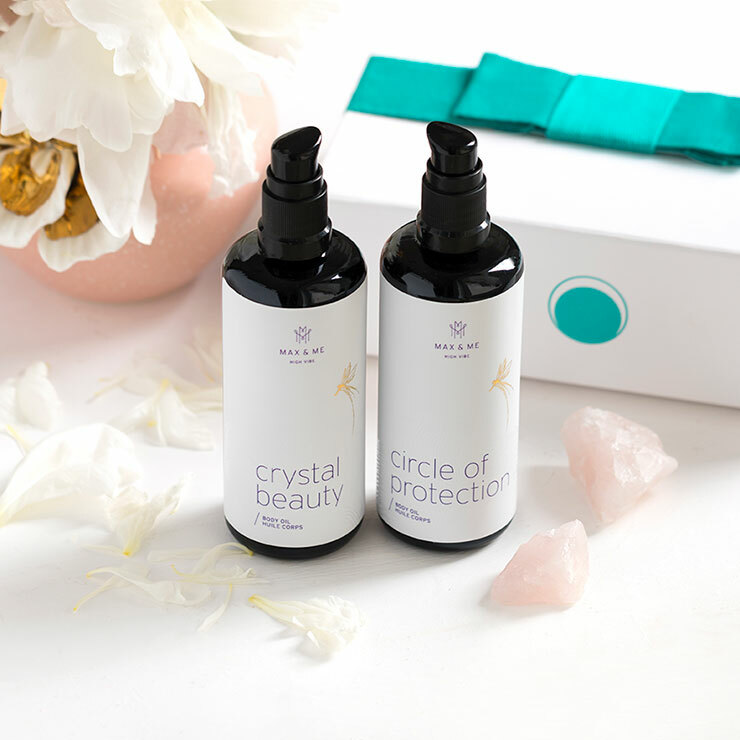 The Circle of Protection Body Oil by Max and Me feels luxurious on skin, while bestowing a sense of protection from environmental challenges and the elements. A precious blend of moisturizing and antioxidant beauty oils (argan, marula, rosehip) give a nourished feel to thirsty skin. Above and beyond this, the potent plant ingredients offer improved sensations of mind/body well being. Delicately fragrant vetiver, bourbon geranium and manuka lend a mildly pleasing aroma, while the beautiful sensations of exotic litsea, sparkling silver fir and shimmering jasmine tantalize the senses. You feel safe. You feel strong. You feel beautiful. Lend a caring feeling to skin and soul by warming a few drops of this heavenly oil blend in your palms and inhaling deeply. Close your eyes, let go of all your thoughts and relax. Then massage the Max and Me body oil blend into the moist skin. Take your time, take your space to savour the sweetness of it all, the feelings of immersion into light, the sensations of good energy, the sense of beautiful vibrations, the way you feel, the way you glow. These are moments of bliss. I have used body oils after my shower for years and this one feels like an incredibly luxurious experience. I love the thick feel of the oil, and yet it does not feel heavy on the skin at all, and absorbs quickly to leave a buttery soft, hydrated feeling. The scent is very subtle yet complex and soothing. It's rare to get something in a subscription box that I feel like I can't live without but this is a product I will want to repurchase. I love oils! Cleansing oils, facial oils, body oils, I love them. 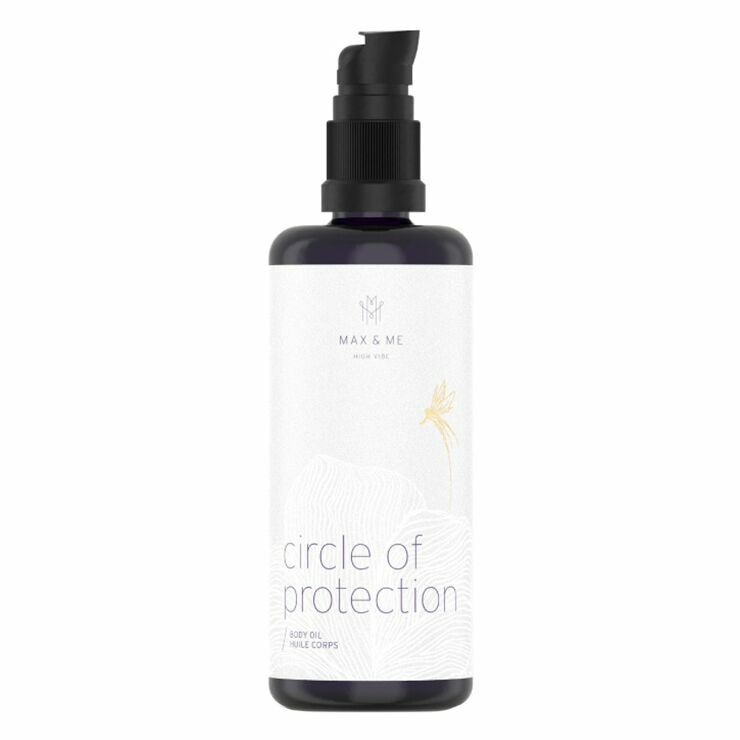 Of all my oils, the Max and Me Circle of Protection is the most precious one. The smell, the viscosity, the way I feel after I inhale it.... oh so lovely. The first time I tried it, I used it as an after-shower body oil. It absorbed so well and smelled so good. So now I am thinking that I need to conserve my bottle, so the next time I used it, I added the oil to my unscented argan oil and that works good too. Thank you for a great product! Stops My Itchy Skin on my Legs! I have been using this oil on my legs. Every time I shave my legs they itch. This oil has helped with this problem tremendously. It smells great too! Very lightly scented and a powerful skin protector!